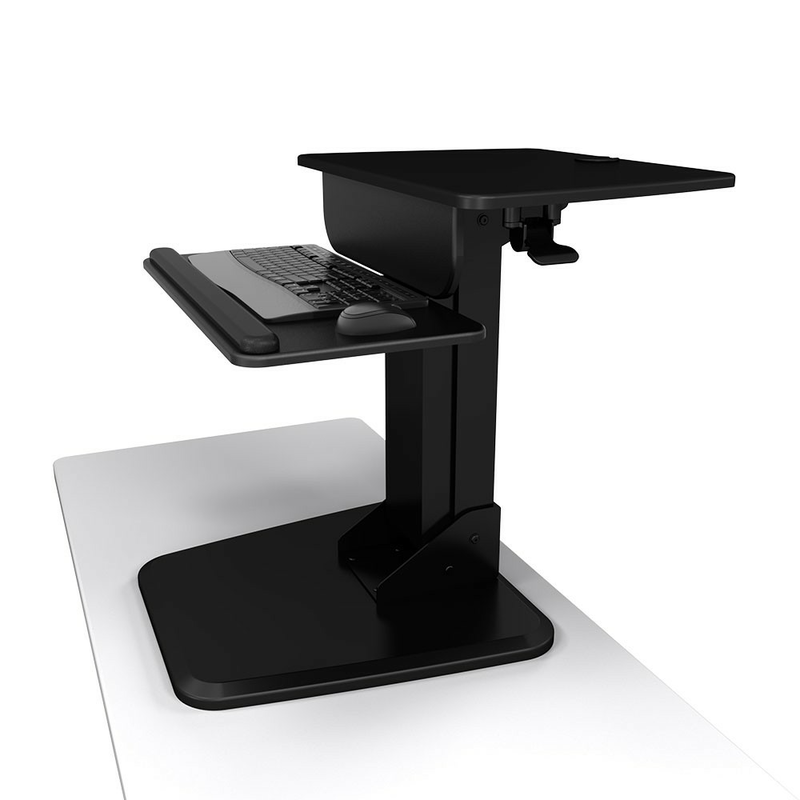 Atdec Sit to Stand Workstation, quickly turns any desktop into a sit-to-stand workstation. Free standing mount. Weight capability 28.6lbs including monitors and other accessories. 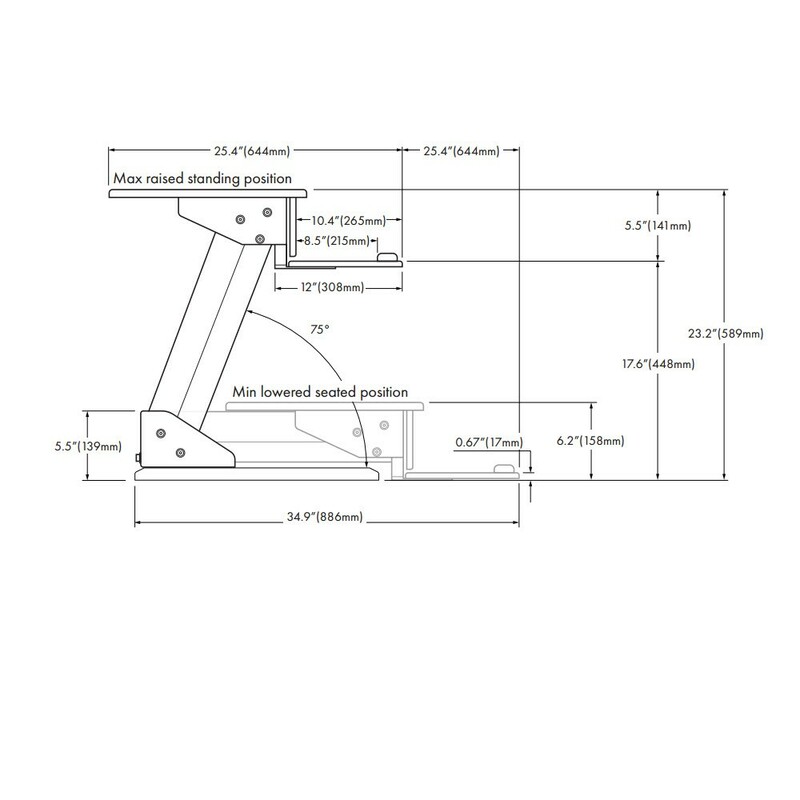 Adjustable gas strut assistance for smooth height repositioning. Integrated keyboard and mouse tray. Rubber base protects desk surface from damage and enhances stability. 29.5 x 22.8 x 7.9"